I had the opportunity to come up with a creative look for an ‘Asylum’ themed photo shoot that required the makeup to be glamorous yet mentally deranged. Glamorous and mentally deranged probably aren’t two words I would ever put together in a sentence but I took a concept that could of been challenging and turned it in to an opportunity to create something weirdly wonderful. 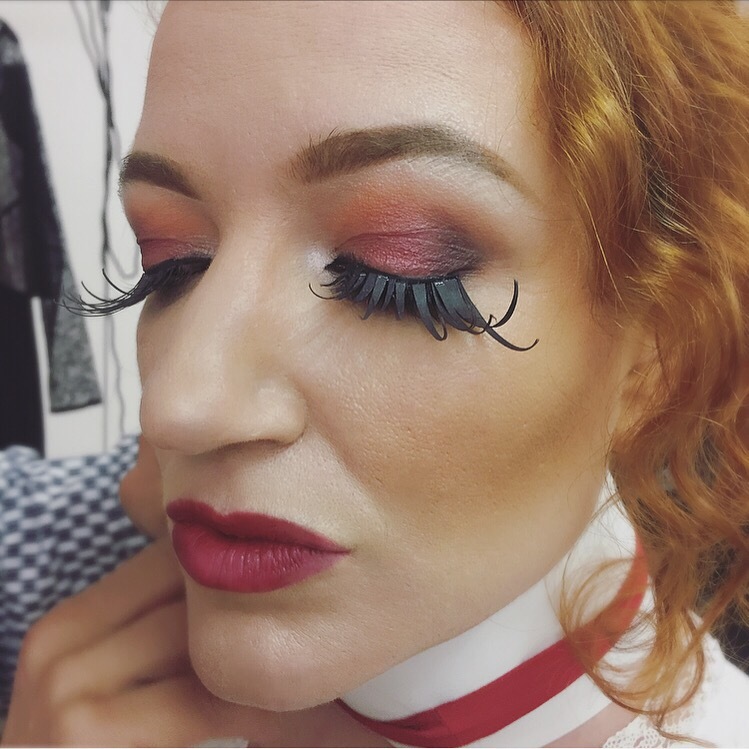 After careful consideration I decided to create some one off lash designs that would compliment a glamorous and beautiful makeup while combining the contrasting themes and delivering something a little unusual and cooky. 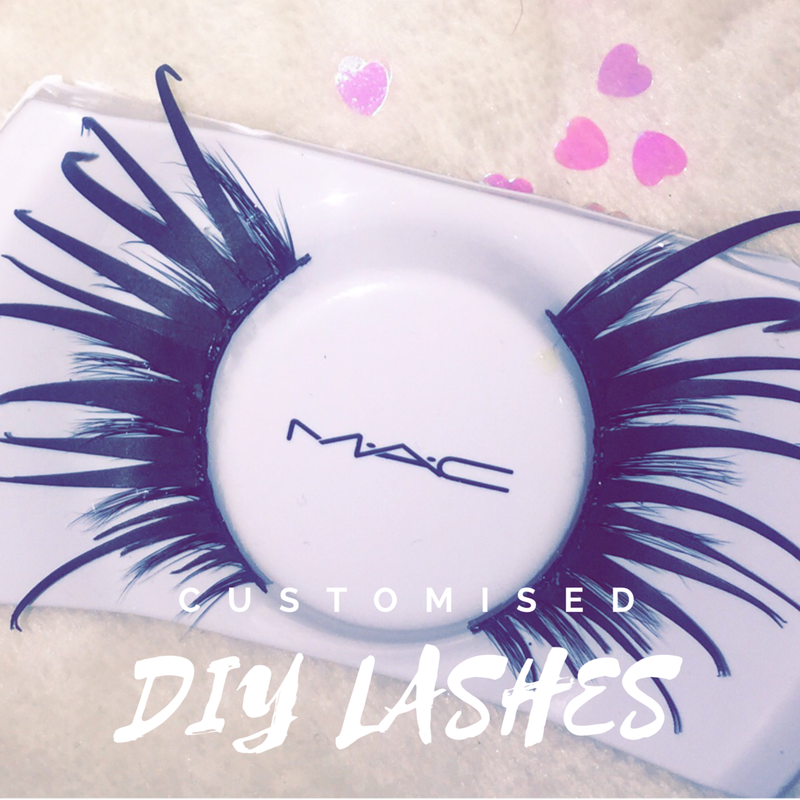 The first step was to find some good quality lashes with an extra strong lash band- anything flimsy or delicate might be tricker to apply once it has been customised due to the extra weight of anything added to the lash band. 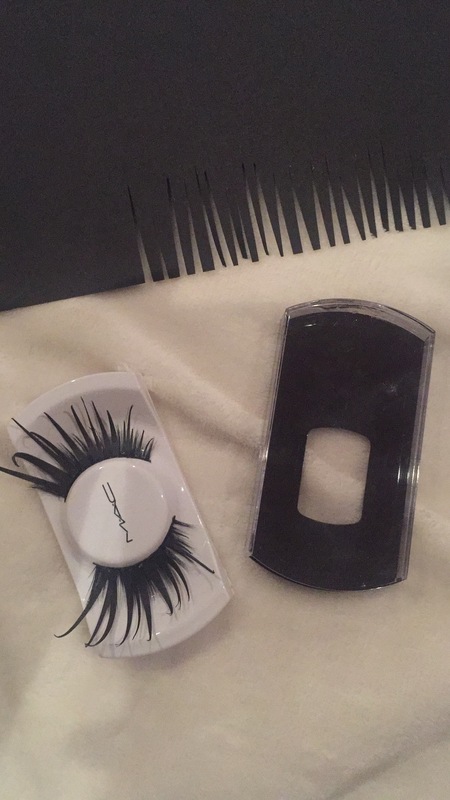 I grabbed some beautiful luxury lashes off amazon, the ones I used in the end were the bottom pair. 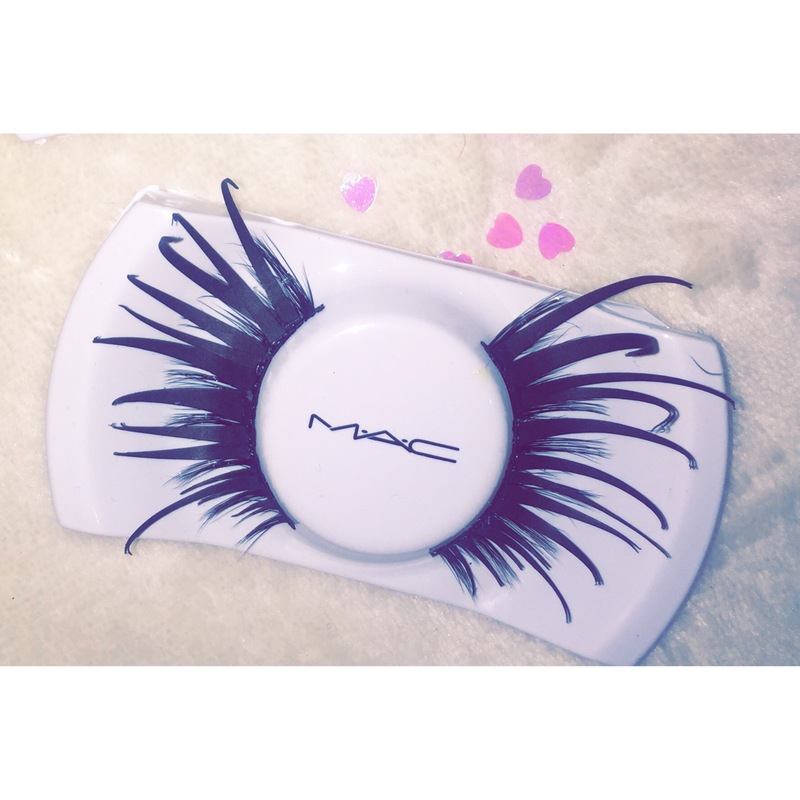 I took them out of the packaging and layed them on a MAC lashes packaging box instead because the shape of the plastic insert was a lot more DIY friendly than the original box which was hard to work around. 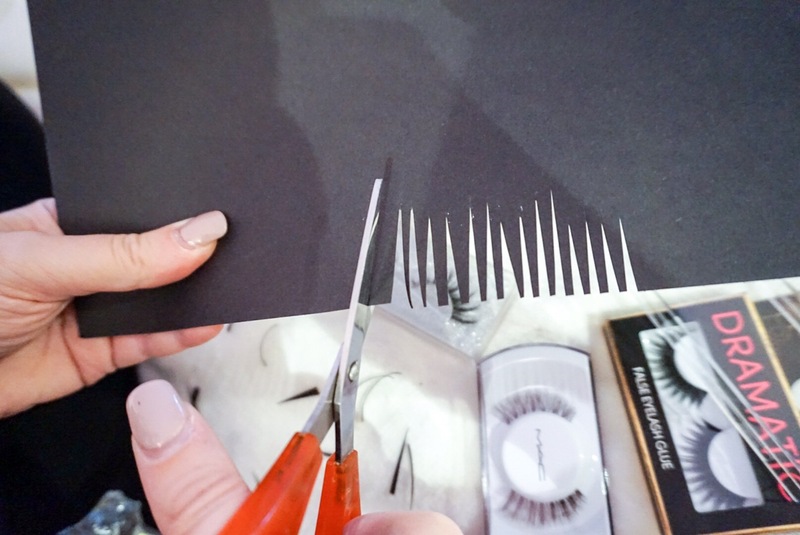 I then got a piece of black card and cut pointed paper strips to stick on to the lashes to create extra length. 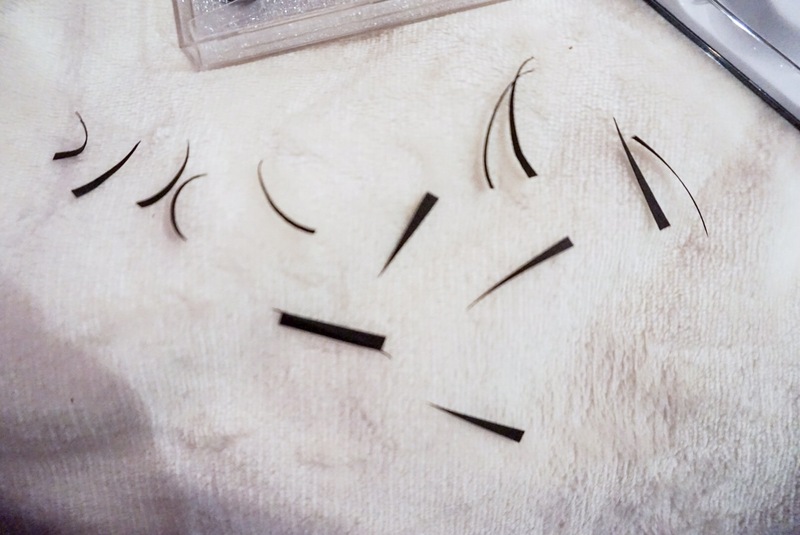 I varied the size of the strips so I could realistically make them fit in to the natural lashes by applying the shorter ones to the inner corners and the longer ones to the outer corners. I curled the paper strips by using my fingers and running them along the paper to bend them. Using duo glue I attached the paper lash pieces carefully with tweezers. Apart from being just a little bit fiddly these lashes were ultimately quite simple to make and they were really effective on camera. 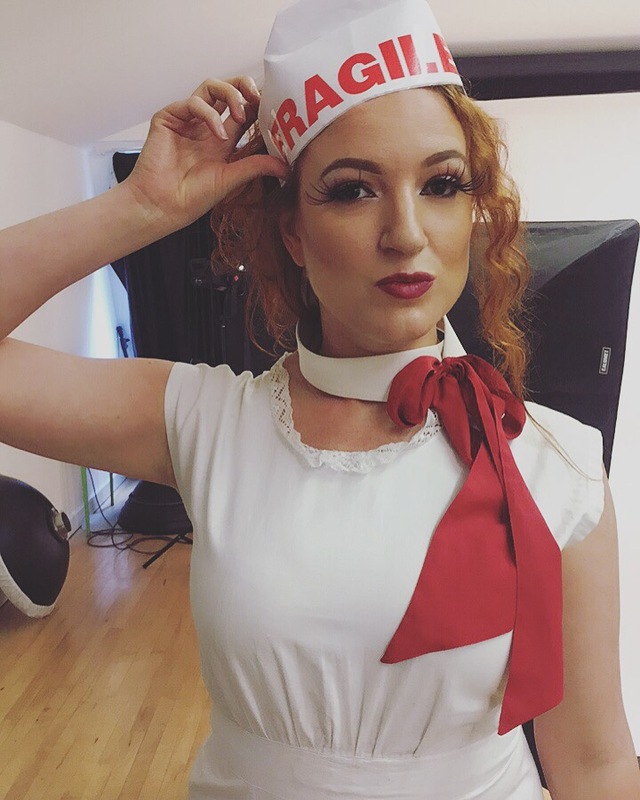 I managed to get some snippets of the makeup from the shoot which I’ve included below but I’m really looking forward to seeing the final images which I’ll be posting up on my social media channels.